The early section on Tytherington and Itchington in the Domesday Book, described how the Manors came to be held by Milo, Sheriff of Gloucester, in 1135 and by Richard Foliot in 1155. Richard Foliot's daughter Hawise married, secondly, Roger Corbett and by 1220 Emma Corbett, of Moreton Corbet, Salop, held both manors, which were then held together until 1728. Roger Howell has traced the descent of the manor - either from official documentation or from family pedigrees and he has given his permission for the results of his research to be incorporated here, taking the story from the first Corbetts. Names underlined are documented; relationships to the previous Lord are in brackets, with dates of accession. Roger Corbett (second husband of Hawise Foliot). Richard Corbett of Moreton Corbet, Salop). William Corbett 1281 (nephew, son of William Corbett). d.1282. Roger Corbett 1290. (son) d.1290. William Corbett 1324 (son) d.1359. Sir John de Clinton (son-in-law, married Margery Corbett who had Tytherington as part of her marriage portion) d.1335. Sir William de Clinton (grandson, son of Sir William de Clinton d.1377) d.1432 . Sir William enfeoffed William de la Pole in all his estates before going to France and never recovered them. (See William de la Pole, below.) 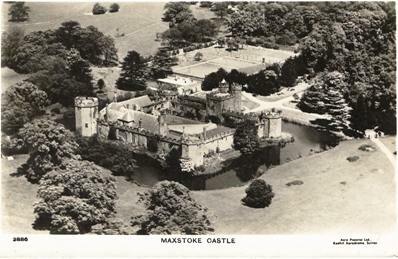 Maxstoke Castle, Warwickshire pictured right is the ancestral home of the de Clinton family and was built by Sir William de Clinton, 1st Earl of Huntingdon in 1345. Thomas de Bradestone who came from Breadstone in the parish of Berkeley was a knight in the service of Thomas Lord Berkeley. He was an able soldier and administrator and rose to a position of eminence in the reign of Edward III. Besides Breadstone he was granted the manors of Stinchcombe, Horton and Winterbourne and held a moiety or small portion of the manors of Tytherington and Itchington. He died in 1360. Thomas de Bradestone (grandson, son of Robert de Bradestone d.1355). d.1376. William de la Pole (son).William was enfeoffed of the de Clinton's portion of the manors of Tytherington and Itchington when Sir William de Clinton left the country. Although later there was a violent law suit between them the de Clintons never recovered the manors and shortly afterwards William de la Pole sold them to Sir Richard Beauchamp, Earl of Warwick one of the wealthiest barons in the land. Henry Beauchamp Earl of Warwick (son) d.1446. Anne Beauchamp Countess of Warwick (daughter of Richard) d.1449. Richard Neville Earl of Warwick. (uncle, married Anne Beauchamp.) d.1471. Sir John Willoughby (second cousin, son of Sir John Willoughby d.1437 and grandson of Elizabeth Neville.) The manors of Tytherington and Itchington were given to Sir John by his cousin Richard Earl of Warwick as part of a family settlement. He married Anne Cheyney daughter of Edmund Cheyney of Broke near Westbury Wilts. d.1477. Robert Willoughby Lord Willoughby de Broke. (son) d.1502. Robert Willoughby Lord Willoughby de Broke. (son) d.1521. Elizabeth Willoughby (granddaughter, eldest daughter of Edward Willoughby d.1517). Elizabeth was made a ward of Sir Edward Greville of Milcote near Stratford on Avon, and eventually married his second son Sir Fulke Greville. d.1562. In the recently published volume of the Gloucestershire Record Series Vol. 6 'The Military Survey of Gloucestershire, 1522' (p.30), two lords of the manor of Tytherington are mentioned - Lord Broke and Sir Giles Stragwyssh. The latter is probably the Giles Strangwayes mentioned in the list of the customary tenants of the manor of Tytherington of 1554. In the estate survey of Sir Fulke Greville of 1563 Greville only claims a moiety of the two manors, so evidently Giles Strangwayes owned the other moiety. It is not clear whether the division of the manors was in some way a continuation of the division that existed in the confused period at the end of the 14th century or was a new division made at some point in the 15th or early 16th century. By 1642 the two parts had been re-united in the hands of Sir Greville Verney. Sir Fulke Greville (husband of Elizabeth Willoughby) of Beauchamps Court, Alcester. d.1560. Sir Fulke Greville (son) d.1606. Sir Richard Verney (brother-in-law, married Margaret Greville d.1631, daughter of the Sir Fulke Greville who d.1606) of Compton Murdac (now Compton Verney) , Warwickshire. d.1630. Sir Greville Verney (son) d.1648. Sir Greville Verney (son) d.1668. Sir Greville was only 19 when he died and his wife, Diana Russell, daughter of the first Duke of Bedford, married secondly William Lord Alington. William Verney (son) d.1683 aged 15. Sir Richard (great uncle , son of the Sir Fulke Greville who d.1642). Reclaimed Barony of Willoughby de Broke in 1696. d.1711. George Verney Lord Willoughby de Broke. (son). Dean of Windsor. d.1728. After his death the manor of Tytherington was sold to Dr. Peter Hardwicke but Itchington was retained by his son Richard (see below). Sodbury, whose family had previously lived in Nailsea, Somerset. d.1747. The descent of the Hardwicke family, and the nepotism shown in the appointment of vicars, have been described elsewhere. In 1220 the manor of Itchington was held together with that of Tytherington by Emma Corbett and from then on the two manors were held together until 1728. By that time the original boundaries between the two manors had been forgotten. The combined manors had also been split into two moieties at some point prior to the sixteenth century, though they were eventually reassembled. By the eighteenth century the boundaries between the two moieties had been forgotten. The moiety which had formed the original Verney inheritance had been entailed so that when the Verneys wished to sell off the moiety that had not been entailed it was unfortunate that the boundaries between the two were not known. To overcome the difficulties a commission composed of local worthies was established in 1726 by an act of parliament to define the boundary between Tytherington and Itchington and it was allowed that the manor of Itchington could be considered the equivalent of the entailed moiety and the manor of Tytherington could be sold. The commission's detailed findings are included in the Hardwicke estate documents (GRO). 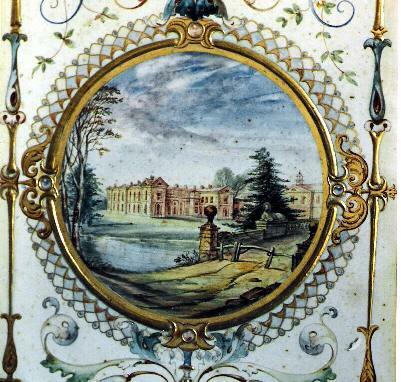 John Peyto Verney Lord Willoughby de Broke (nephew, son of John Verney d.1741 and his wife Abigail Harley, niece of Robert Harley, Earl of Oxford.) He married Lady Louisa North sister of the Prime Minister Lord North. 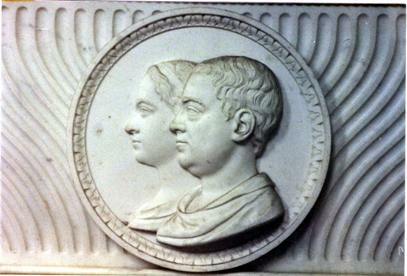 d.1798. 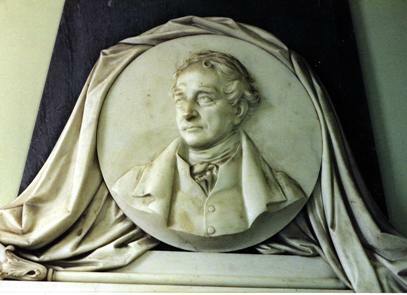 John Peyto Verney Lord Willoughby de Broke (son) d.1820. Henry Peyto Verney Lord Willoughby de Broke (brother) d.1852. 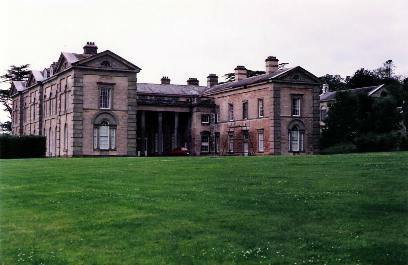 An act of Parliament of 1814 enabled the sale of the entailed manor of Itchington and in 1828 it was sold to John Salmon of Alveston. John Salmon Some of the Itchington farms were sold off in 1828 and John Salmon mortgaged the rest to Richard Honnywill of Bristol to pay for the purchase of the manor.